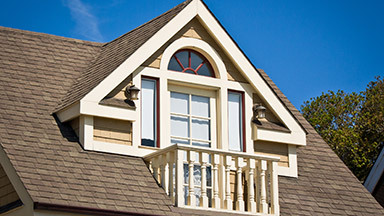 When’s the last time you took a good look at your roof? 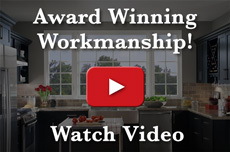 When the framing is done properly, the angles of your roof should be as straight as arrows. However, over time, it isn’t uncommon for roofs to sag or show other signs of distress. If this is the case, you’ll need to call an experienced Grand Rapids roofing installation contractor as soon as possible to reduce the risk of further roof damage or even roof collapse. Roofs deal with a lot of runoff over time, which is why it’s important to see how rainwater and snowmelt drains from your roof. Water has a way of finding the imperfections in your roof where it can seep in and cause water damage. Over time, the trapped moisture creates the perfect environment for mold and mildew to grow, further weakening your roof and causing it to sag. The structural integrity of your roof depends on being impervious to water damage. For this reason, we recommend having a licensed roofer come out to your house every three years to inspect for water damage on your roof. Michigan is well-known for its long months of snow and ice. However, too much weight on your roof can cause structural damage. Most roofs are constructed to withstand the additional weight of winter precipitation. However, if you get a winter with a record amount of snow, you’ll want to weigh the pros and cons of removing some of the load. While using a snow rake to remove some of the snow can help reduce the load, you also run the risk of breaking off frozen shingles that have become brittle. You could also get hurt by falling chunks of ice. Use your best judgment and ask a licensed roofing contractor if snow and ice removal is necessary. Think of your roof as a triangle. The base of the triangle forms the ceiling or roof joints while the rafters are the diagonal walls that slant toward the ridge line. When the roof joints and rafters are improperly constructed, this can lead to a sagging roof later on. The weight of your roof pushes down on the ridge line before being distributed down through the rafters, roof joints, and walls of your home. This design is meant to safely carry the load on top of your house, which includes the roof, shingles, snow, and ice. However, when a residential roof isn’t built properly, it can cause the roof to sag over time and become structurally unstable. Most roofs start deteriorating once they reach the end of their lifespan. When given proper roofing maintenance, roofs can easily last for more than a decade. However, once you notice your roof is beginning to sag, you need to call a licensed roofing professional as soon as possible for residential roof replacement. If you are interested in our roofing repair and installation services, please feel free to give our Grand Rapids roofing contractors a call at (616) 785-8080. 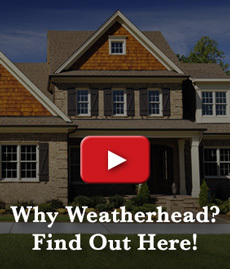 The roofing installers at Weatherhead & Sons are dedicated toward helping homeowners diagnose common roofing issues before offering feasible solutions.